there are alot of things i should be writing about today….however….i’m just sticking with what constantly gives me peace and makes me happy….thanks bruce. i remember my first concert in d.c. when i was just a child…little did i know how bruce would change my life…. after rosalita and born to run, nothing was ever the same for me…. 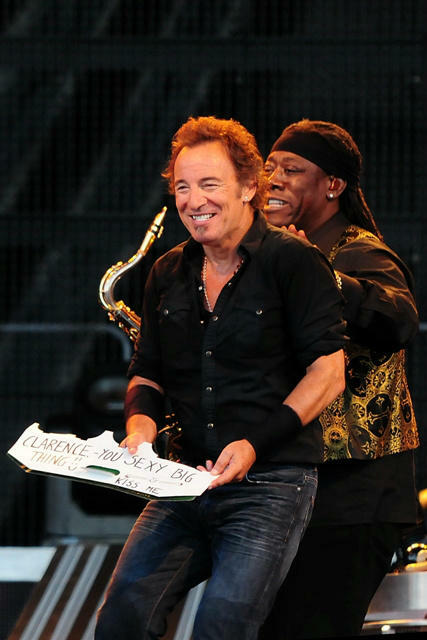 i followed bruce around the country and escaped into a promised land through 4 hours of his concerts over the course of 30 years…..
the innocence of the experience gave way to living life with dreams i would nurture. i won’t complain about those smells that emanate throughout stadiums…..just part of the experience…. now he makes me smile as i live moment by moment as i care for those around me….singing in the car with bruce makes me happy and sane…. all i want is to be free…if only for four hours…. This entry was posted in addiction, television, new yory post, Aging, aspen54, botox, Bruce, caregiver, grieving, social media, social networking, sweetmelissa1954 and tagged Bruce, Coffee, family, Grieving, Happy, Laughing. Bookmark the permalink.